Update: Thanks for everyone that participated! Enjoy the summer! Velo Orange will be closed from July 1st through July 4th so that our staff can enjoy a well-deserved long weekend full of shredding, climbing, relaxing, grilling, tubing, and whatevering. That means if you place an order between those days, your order will go out following the holiday. In order to compensate for the inconvenience, we are offering 15% off! Simply use the coupon code: SUMMER17 between now and 11:59 pm EDT on July 4th to receive your discount. Shops get the deal, too! Enter the coupon code - SUMMER17 - in the little "discount codes" box in the shopping cart page. Check out as normal and enjoy the savings! I've not been a big advocate of bells until recently. Most of my riding for years was on roads - ideally small lane ways or back roads where traffic of any kind - vehicular or pedestrian - was light to non existent. Didn't feel the need for a bell if I was rolling along those sort of places, but lately I've been on more bike paths and such, where interactions with pedestrians is more common and I find myself using a bell more often. The rise of folks wearing ear buds while out walking means that the old trick of back pedaling and clicking the brake levers doesn't seem to work when folks are walking along a path listening to the latest Taylor Swift album. My experience so far as been that our bells seem to have a tone that people respond to well. It's not harsh like a horn, but more of a gentle reminder to folks that others are out there and would like to pass alongside them. So I hear you saying, "Gee Scott, that sounds a lot like how my riding has been going. How do I get a bell mounted to my bike?" Well, glad you asked, 'cause we've got a blog post to help you figure out what will work for you. Now all these options are based on using our Temple bell, brass or silver - you choose to match or contrast the build you have on your bike. The brass striker bell will work with option #1 and 2 only. 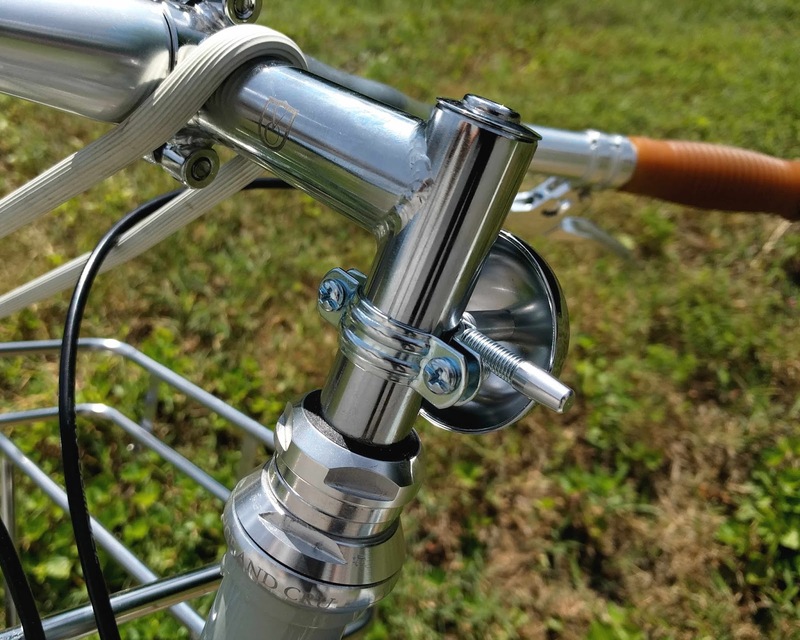 Set up #1 - Handlebars - If you have standard road bars or flat bars, you can clamp the bar right to the handlebars. Use a flat head or Philips screwdriver to loosen the clamp from the packaging, put it on the left or right side of the bar (I'd go with the dominant hand side) and then tighten it up. Done. 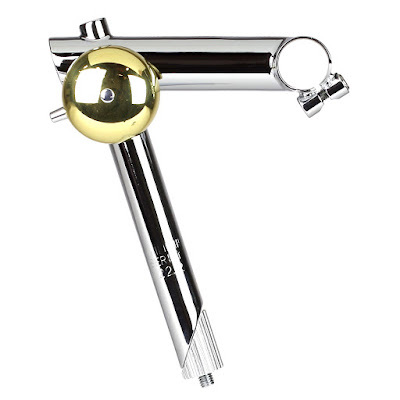 Set up #2 - Quill stem - A 1" quill stem is the right diameter to attach a bell to. So if you have no room on the bars, you can clamp the bell around the quill portion of the stem. Same rule as #1 - set up bell on dominant hand side. Done. Set up #3 - Spacer replacement - We have a couple options for this. You can replace one of the spacers in your headset (1 inch or 1 1/8") with our bell spacer mount. Or you can use the retro spacer if you have a 1 inch headset without a lot of extra room. Set up #4 - GC stem - On our top of the line Grand Cru quill stem, we have a threaded attachment point about an inch below the top of the quill portion. You can screw the temple bell right into this, in the same way that the constructeur builders of the 50's and 60's did it. Igor did a nice write up here with some great photos. Set up #5 - Shifter boss attachment - All our frames have braze on's on the down tube for running down tube shifters or cool cable stops. But let's say you are running a 1 X set up and the left shifter boss is not being used. Well, here's a great opportunity to put a bell there. Fasten a down tube cover to keep it looking clean. Install a set screw and nut into the bell and screw the bell straight into the boss and voila, you're ready to rock. Anyone have another place that they've put one of our bells? When I was in school, I loved history classes. I loved the stories of the past, the tales you got if you went beyond dry text books and delved into the stories of people who lived in that time and experienced the events. I've been lucky to have seen many historic places from the saddle of my bike- Stonehenge in England, the Gettysburg battlefield just north of us in Pennsylvania, Gold Rush settlements in the interior of British Columbia, and Icelandic settlements that date back to 1000 AD. One of the things that I think is great about travelling by bike through these areas is seeing them at what's termed a "human pace". All these locations were places created or had events happen there, before the invention of the car. 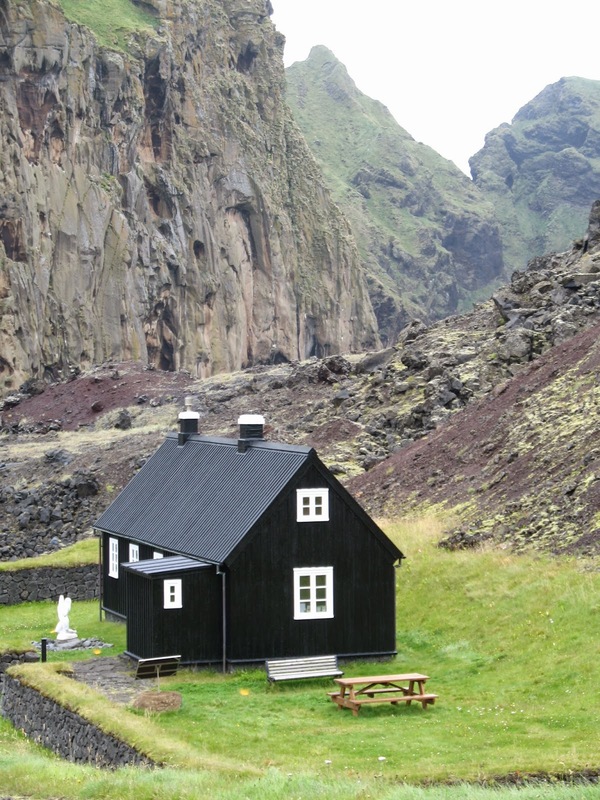 So the landscape and the settlements were altered/used by people who walked for the most part. So when you pass through them at 10-14 miles per hour, you can take in all sorts of smaller details that you would miss if you drove past them. 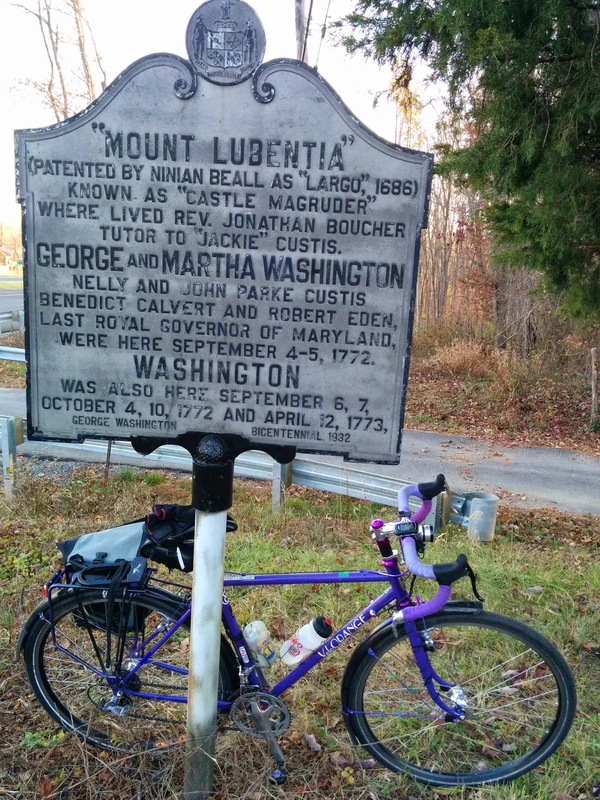 The DC randonneurs have numerous brevets that take them through the battlefields of the Civil War that abound in the Maryland/Northern Virginia area. I've gotten to ride through the battlefields on quiet, misty mornings and it is quite moving to cycle through and see the monuments and try to understand what happened there. Our good friend Mike Ross was on a tour in Maryland and came upon this sign. Mike always sends me these photos to remind me of the local history that is so prevalent here in the east coast. 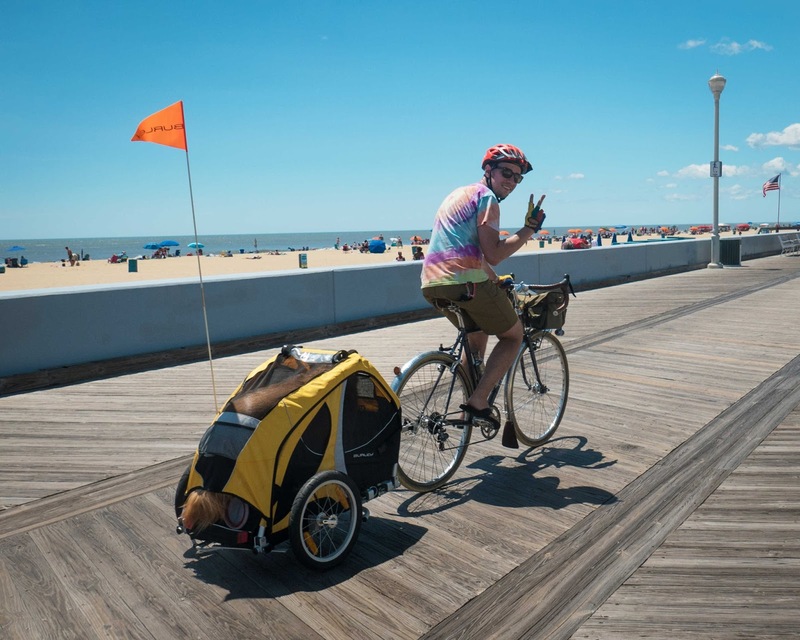 Where have you traveled by bike that had some history or story to it? We hope you are enjoying your summer or winter (for our friends living in the Southern hemisphere)! No coupon code required. Sale will only be around for a limited time. 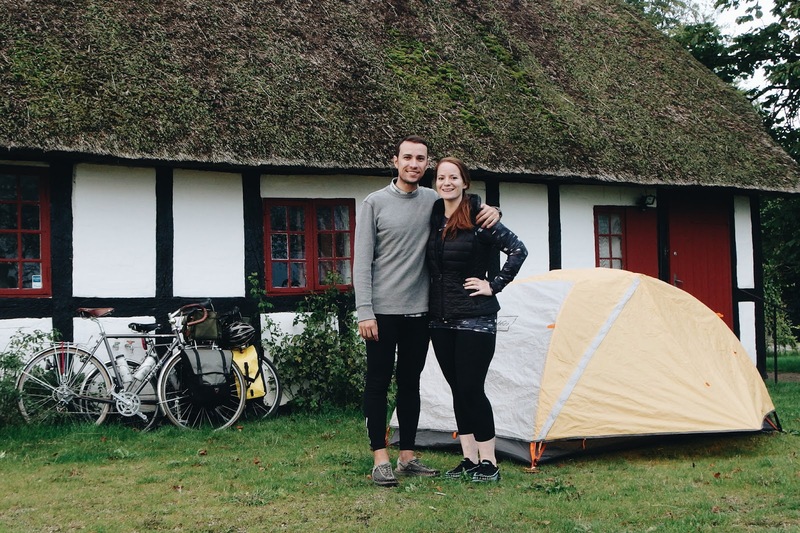 Swift Campout is a global call to go bike-camping on June 24th, 2017. For the third year in a row, thousands of adventurous spirits will load camping gear on their bikes for a weekend adventure. 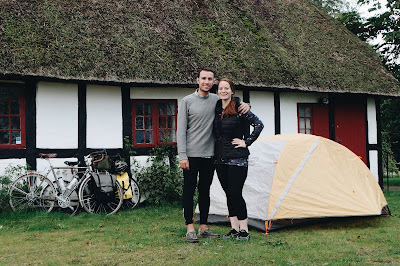 Adrian and I are camping out at Assateague Island where wild ponies roam, Clint is shredding some gnar on his mountain bike, and Scott is doing a C&O Canal ramble. Other adventures are still in the works. What are your plans? 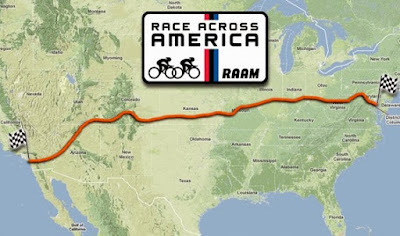 RAAM (Race Across America) is an ultra-marathon cycling race which enters its 36th year. Riders from over 35 countries start in Oceanside, CA and race to our fair city of Annapolis, MD. We'll post photos on our Instagram and Facebook as they arrive to an emotional finish. Container Day with New and Redesigned Products! The container has just been unloaded and checked in. Within there are new products and a few restocks of popular offerings. We also have a VO Bulletin signup towards the end of the post for those interested in getting VO news before it is released on the blog. Get your Klunk on. They're wide (680mm), have lots of sweep (45°), and are mountain rated. They're also available in Noir and Nickel finish. Triple bosses on the blades, fender and rack mounts, and big tire clearances. 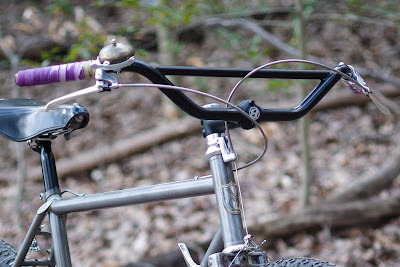 You asked for it, and now we're offering our triple-butted Piolet Forks for sale separate from the frameset. There's a limited quantity available and they're all painted in Deep Gloss Black. 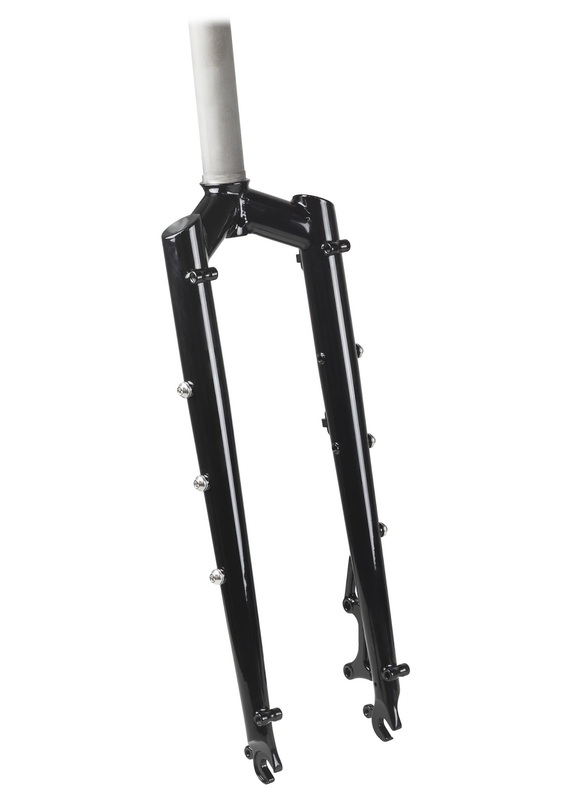 They're available in 26" and 29er/27.5+. 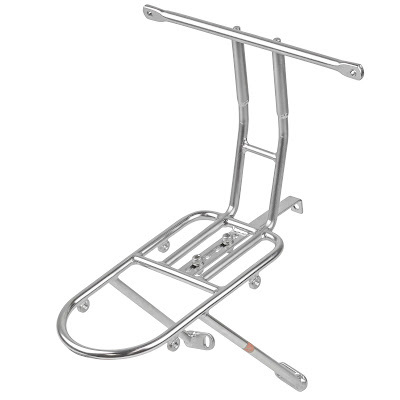 Our front racks for handlebar bags are now stronger and more easily installed on a bigger variety of bikes. What's not to like? The decaleur (the upright portion which receives the bag mount) gets even more integrated into the platform of the rack. Stresses from stuffed handlebar bags and rough terrain are dispersed through the entire length of the tube and aft of the rack. 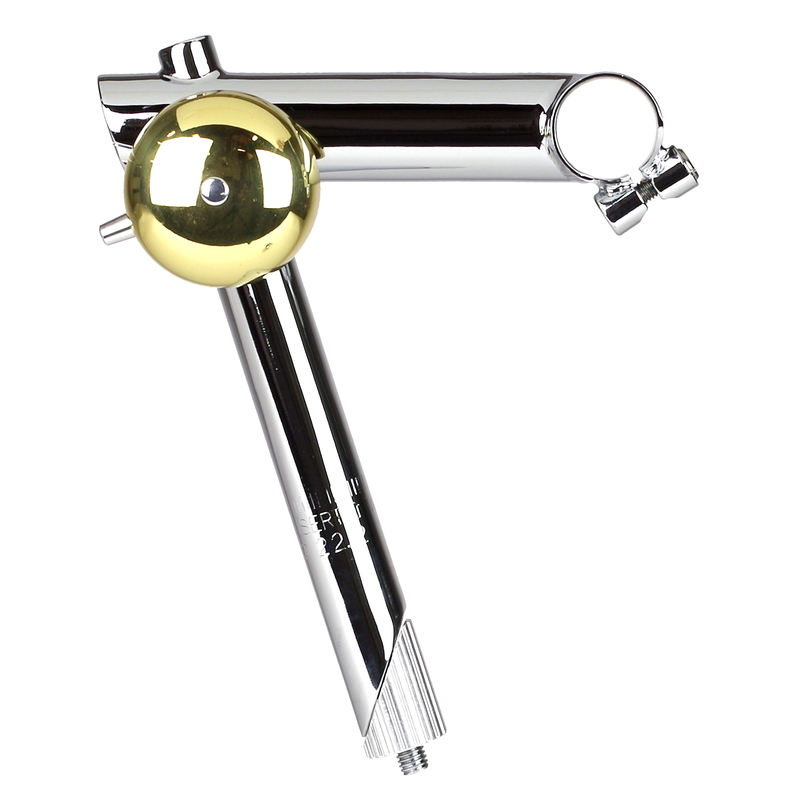 The included adjustable tang makes fine tuning easier as well. Randonneur Rack with Integrated Decaleur, Cantilever - This rack mounts to your fork's cantilever brakes and fork crown. Also available in a version with just a tombstone if you plan on just strapping down a dry bag, you live that #basketpacking life, or have a custom decaleur in the works. Randonneur Rack with Integrated Decaleur - This rack mounts to your fork's 3/4 braze-on eyelets and fork crown. If you don't have eyelets, you can use the included p-clamps to create some pseudo-eyelets. We're getting the non-integrated version later on since we still have good stock of the MK1 version. Constructeur Front Rack - This rack mounts to your fork's dropout eyelets and fork crown. These 2-piece shims are super simple and work with both 4-bolt and 2-bolt (like the Cigne and upcoming 31.8 Quill Stems). 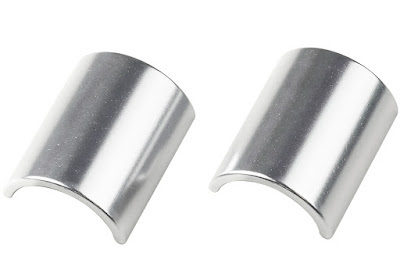 They're available in Silver and Noir in both 31.8-26.0 and 31.8-25.4 to dial in your build. Lastly, we're trying something new for VO. We're working on sending out e-mail Bulletins for upcoming products, sale coupons, future events, tips n' tricks, and general goings-on. We'll only send them out once a month or so, and they'll be short and sweet.